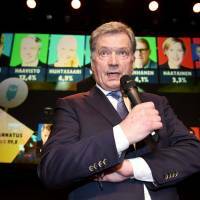 On Jan. 27, the day before Finland’s presidential election, a Finnish social media news and current affairs service called Kioski released an election video that caused a stir online, receiving over 700,000 views since its release. 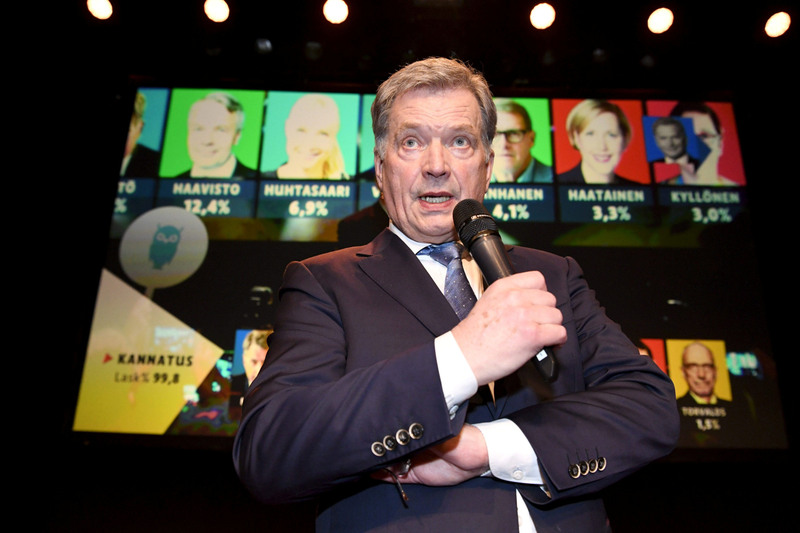 While President Sauli Niinisto’s landslide victory with 62.7 percent of the vote may have little correlation to the video’s popularity, the video proved so effective at engaging younger voters that it caught the attention of Japanese internet users. What makes the video so entertaining? Kioski — a subsidiary of national Finnish broadcaster YLE — created a video inspired by Japanese anime that features cartoon superhero versions of the Finnish candidates, a villain who introduces himself as the “apathy of the voters” and a giant Transformer-like robot emblazoned with the Finnish word for democracy. The kicker is the comic Japanese title cards and voiceovers. The reaction from the embassy’s Japanese audience was swift and the initial tweet, posted on Jan. 27, has received more than 15,000 retweets and 18,000 likes. Japanese Youtuber Gen Takagi, who creates videos related to Finland, uploaded a reaction video that racked up 14,000 views in 12 hours when shared on Kioski’s Facebook account. The quirky animation’s popularity may be attributed to Japan and Finland’s affinity for each other’s cultures. In recent news, a Japanese college entrance exam question involving the setting and language of Finnish author Tove Jansson’s loveable Moomin characters caused an uproar on Twitter feeds. The controversy over a baffling multiple-choice question sparked a trending hashtag that roughly translates to “unforgivable Moomin.” While the public’s frustration was directed at the fact that the setting of the Moomins is never made clear in the stories, the inclusion of the comic series in a national exam indicates the characters’ widespread recognition in Japan. The unveiling of Japan’s very own Moominworld Park in 2019 is a case in point of Japan’s love of the Moomins. Finland and Japan have a long history of appreciation for each other’s culture. More recently, Japanese fashion has demonstrated a recognizable increase in Nordic designs and products and there are currently around 40 Finnish organizations in Japan that operate across a variety of industries. The Finnish design house Marimekko has high brand recognition in Japan and attributes some of its beloved prints to Japanese designers. Meanwhile, in response to increasing attraction to Nordic design in Japan, researchers from Aalto University, the University of Turku and the University of Tokyo conducted an online survey in April 2016 to determine Japanese views on Finland, Sweden and Denmark. While the links between the two countries will no doubt strengthen in the long-term, perhaps Kioski’s amusing video will convince even more Japanese to visit Finland in the near future.